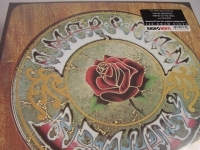 180 Gram Vinyl - items 200 to 225 Shop MyMusicFix!! "Genesis, 5 LP Set of 180 Gram LPs"
GENESIS - STARTS WITH THREE CLASSIC RECORDS 1st Edition Limited Edition Audiophile Mastered LP (from the Original Session Tapes and out of print forever) was mastered by Classic Records. TWO INDIVIDUAL SIMPLY VINYL U.K. 180 GRAM MASTERPIECES LONG OUT OF PRINT 1ST EDITIONS 180 GRAM PRESSING. 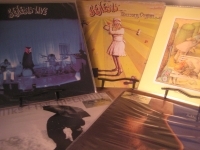 TOTAL OF 5 RARE LIMITED 180 GRAM 1ST EDITIONS. THIS IS A ONE TIME ONLY OFFERING - ONCE SOLD GONE FOREVER. ALL TITLES CAN BE PURCHASE INDIVIDUALLY IN OUR MYMUSICFIX GENESIS SECTION. THESE MASTERPIECES HAVE OFFICIALLY GONE OUT OF PRINT FOREVER ON SEPTEMBER 1ST 2007. THESE AUDIOPHILE GEMS WILL GO THRU THE ROOF AS THE MOST VALUED PRESSING EVER ON VINYL. MYMUSICFIX SEES THIS TITLE SELLING IN THE MONTHS TO COME FOR $300+ IN THE OUT OF PRINT COLLECTORS MARKET - DON'T MISS OUT ON SOME OF OUR LAST COPIES FOREVER. Classic Records has proven to be an Audiophile Company second to none in the new millennium. But Classic Records, unlike other top Audiophile Companies, does not place Limited Edition numbers on their LP jackets. 5 years ago, Classic Records changed their vinyl weight from 180 gram to 200 gram. Mymusicfix knows no expert that has been able to decipher a true difference in quality with this 20 gram weight increase. IN FACT MOST COLLECTORS BELEIVE THESE 180 GRAM PRESSINGS WERE CLASSIC RECORDS FINEST HOUR. 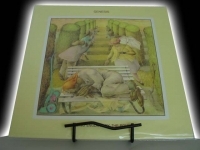 This Genesis A NURSERY CRYME Pressing has been critically acclaimed as the quietest and finest ever produced of this recording. It is a new listening experience that will virtually feel as if you were in the studio with them. Enter Phil Collins and Steve Hackett for a set that elipsed its predecessor (seventies TRESPASS) in technical ability. The 10-minute opener "The Music Box" benefiting from jazz influenced playing was a far cry from the delicate folk rock tapestries and chiming 12-string guitars of its predecessor. The infusion of a semi-classical structural sensibility had become more prevelant. Fragile ballads are at a minimum replaced by driving classic rock epics full with heavy guitar, baselines, and sweeping mellotrone. The sound occasionally recalls the refined but uncompromising instrumental attack of the Nice (particularly in Tony Banks/Keith Emerson-ish blast of organ bravura). The interlocking guitar and folky moments are still present, however, providing contrast to NURSERY CRYME's bolder moments. The group's sophisticated compositional style and Peter Gabriel's eccenric lyrics are at their height on "The Return Of The Giant Hogweed", "The Fountain Of Slamacis" and "The Music Box SELLING ENGLAND BY THE POUND - Released in 1973 (the same year as their Live set) Genesis was by now one of the fastest rising groups on the pop scene. The band's blend of classical instinct, theatrical presentation and whimsical, complex and daring arrangements put them in the same class as Yes, ELP, Pink Floyd, King Crimson, and Jethro Tull as leaders of the British Progressive Rock era. Back in the studio where they could continue to experiment, the resulting Selling England By The Pound is considered (by some) equal to their masterpiece Lamb Lies Down on Broadway. Truly a group effort and a great album of the 70s! In shades of things to come, drummer Phil Collins makes his vocal debut here on "More Fool Me". -------------------------------------------------------------------------------- Track Listings 1. Dancing With the Moonlit Knight 2. I Know What I Like (In Your Wardrobe) 3. Firth of Fifth 4. More Fool Me 5. The battle of Epping Forest 6. After the Ordeal 7. The Cinema Show 8. Aisle of Plenty LIVE - From very early on, Genesis was intensely interested in the staging of live shows. This wasn't just a concert, and this isn't just a live album. It is filled with moments of power (the closing section of "Musical Box") -- not so subtle political commentary ("Get 'Em Out By Friday") and even humor when a bass string is errantly sounded between songs and Peter Gabriel announces "That was an unaccompanied bass solo by Michael Rutherford." It is a perfect representation of a group of brilliant young men who took their music very seriously, but never themselves. This recording shows them in their elemental form. Other included tracks are: The Return Of The Giant Hogweed -The Knife - Watcher Of The Skies. PLUS THESE RARE INDIVIDUAL RELEASES - BOTH TREMENDOUSLY RARE 180 GRAM U.K. SIMPLY VINYL SILVER EDITION MASTERPIECES - EACH LONG OUT OF PRINT - The Simply Vinyl Silver Collection is currently the only way a collector can identify if these U.K. Abbey Road Studio pressings are Out of Print First Generation copies of some of the finest heavy vinyl masterpieces ever made. Mymusicfix has an exclusive list of these Silver Edition titles you will not find at any Audiophile Vinyl Dealer anywhere (Silver Collection refers to the marketing sticker attached on the front and back of the sealed product - not the Second Generation and beyond Gold Stickers). They are known to be some of the finest rock titles ever pressed in Limited Edition Heavy Virgin Vinyl with the best protective packaging ever within the Industry. Some of these titles were pressed by American Audiophile Companies (like the original Out of Business owners of DCC, CBSMasterSound or Nautilus.) and have sold for up to $300 for a Factory Sealed copy. These Simply Vinyl Silver Editions are now starting to reach the $100 value per copy in the Vinyl Collector's Market. All the titles Mymusicfix is listing in this newsletter are what we classify as "Here Today, Gone Tomorrow" Collector's titles. These pressings are tremendously limited in these Silver Edition Pressings and Mymusicfix is down to our last few copies. Don't Miss Out on these Rare Out Of Print Pressings - Enjoy being one of the last people in the world to own one of these Silver Limited Edition heavy vinyl gems. SIMPLY VINYL IN FACT HAS NOW STOP PRESSING ALL 180 GRAM WEIGHT U.K. PRESSINGS AND HAVE DECREASED THERE WEIGHT TO WHAT THEY CALL HEAVY VINYL. SO NOW ALL SIMPLY VINYL 180 GRAM PRODUCTS ARE OUT OF PRINT AND COLLECTORS GEMS PHIL COLLINS - HELLO I MUST BE GOING - If you are considering divorcing a rock star, let HELLO, I MUST BE GOING serve as warning of what you're likely to face once the papers have been signed and the settlements agreed upon. 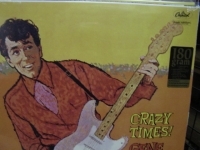 Collins got the last word on his relationship with first wife, Jill (he actually addresses her by name on the album), and managed to deliver it to millions of homes via this album. Tracks include - I Don't Care Anymore - I Cannot Believe It's True - Do You Know, Do You Care? - It Don't Matter To Me - Like China - Thru These Walls - Don't Let Him Steal Your Heart Away - West Side - Why Can't It Wait Till Morning - and a lively remake of The Supremes, You Can't Hurry Love. MIKE RUTHERFORD & THE MECHANICS - THE LIVING YEARS Paul Young, one of the two lead singers for MIKE & THE MECHANICS, unexpectedly passed away in 2000 from a heart attack at the age of 53. He was a brilliant singer, with a full, rich, powerful voice, as well as an amazing performer. Besides Paul Young's amazing vocal work throughout (and Paul Carrack's too, of course), what strikes the listener about LIVING YEARS is how wonderfully crafted each and every song is. Whether rockers, ballads, or mid-tempo stuff, Mike Rutherford (of Genesis) and the boys have made a pop-rock album that simply glows. The album immediately gets your attention with the striking "Nobody's Perfect,": sung marvelously by Paul Young. This is followed by the classic title song, sung beautifully by Paul Carrack, about losing someone you love before telling them everything you wanted to say to them. "Seeing Is Believing" is very catchy and is another great vocal showcase for Paul Young, "Nobody Knows" perfectly captures the mood of reminiscing over someone you've let go in a relationship, and "Poor boy down" is a strong punchy tune that again allows Paul Young to strut his stuff at the mike. The band goes into rocker-overdrive with the powerful "Blame", showcasing Mike Rutherford's furious attack on the guitar during the bridge. Track Listings 1. Nobody's Perfect 2. Living Years 3. Seeing Is Believing 4. Nobody Knows 5. Poor Boy Down 6. Blame 7. Don't 8. Black and Blue 9. Beautiful Day 10. Why Me? 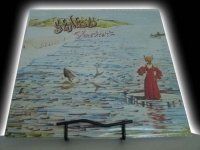 "Genesis, Foxtrot - 180 Gram"
Classic Original Master 1st Generation 180 Gram Pressing, "Out of Print, GENESIS - FOX TROT is now out of print in this 1st edition 180 gram Factory Sealed pressing and gone forever. With these Classic pressings these 180 gram pressings are the only way audiophile music collectors will ever no the have a 1st edition/generation pressing. THESE MASTERPIECES HAVE OFFICIALLY GONE OUT OF PRINT FOREVER ON SEPTEMBER 1ST 2007. . Classic Records has proven to be an Audiophile Company second to none in the new millennium. But Classic Records, unlike other top Audiophile Companies, does not place Limited Edition numbers on their LP jackets. 2 years ago, Classic Records changed their vinyl weight from 180 gram to 200 gram. Mymusicfix knows no expert that has been able to decipher a true difference in quality with this 20 gram weight increase. What this change did for Collectors of the finest vinyl pressings was establish a First Edition element to Classic Records Audiophile pressings. All Classic Records 180 Gram pressings are now Out of Print and Very Limited Edition Collector's First Edition Pressings. These First Editions have become some of the rarest pressings in the Audiophile Collector's Market. Just try to find them at any Audiophile Retailer. You might still find some limited inventory of OTHER RARE AUDIOPHILE pressings but I will bet my bottom dollar that you won't be able to find any of these 180 gram Classic Records First Editions. They are simply gone from the market and Mymusicfix has seen these First Editions sell for over $300. In the long term, First Editions will be what Collectors seek. When you take that into consideration, what will this First Edition Audiophile Pressing be worth in the years ahead? It could be one of the most collectible pressings ever in this 180 Gram First Edition. In their 180 Gram First Editions. Some have never been re-pressed in 200 Gram. While other titles have been re-pressed in 200 Gram (1,000 piece pressings), the original 180 Gram pressings were as low as 500 pieces worldwide and these will prove to be the true collectables in years to come. "Genesis, From Genesis To Revelation #d 38"
"Genesis, Live - 180 Gram - First Generation"
Classic Original Master 1st Generation 180 Gram Pressing, "Out of Print GENESIS - LIVE - This 1st Edition Limited Edition Audiophile Mastered LP (from the Original Session Tapes and out of print forever) was mastered by Classic Records. THESE MASTERPIECES HAVE OFFICIALLY GONE OUT OF PRINT FOREVER ON SEPTEMBER 1ST 2007. THESE AUDIOPHILE GEMS WILL GO THRU THE ROOF AS THE MOST VALUED PRESSING EVER ON VINYL. MYMUSICFIX SEES THIS TITLE SELLING IN THE MONTHS TO COME FOR $300+ IN THE OUT OF PRINT COLLECTORS MARKET - DON'T MISS OUT ON SOME OF OUR LAST COPIES FOREVER. This 180 Gram Heavy Vinyl LP has been critically acclaimed as the finest and quietest ever produced of this recording. It is a new listening experience that will virtually make you feel as if you were in the studio. Classic Records has proven to be an Audiophile Company second to none in the new millennium. But Classic Records, unlike other top Audiophile Companies, does not place Limited Edition numbers on their LP jackets. 2 years ago, Classic Records changed their vinyl weight from 180 gram to 200 gram. Mymusicfix knows no expert that has been able to decipher a true difference in quality with this 20 gram weight increase. What this change did for Collectors of the finest vinyl pressings was establish a First Edition element to Classic Records Audiophile pressings. All Classic Records 180 Gram pressings are now Out of Print and Very Limited Edition Collector's First Edition Pressings. In the long term, First Editions will be what Collectors seek. When you look at Classic Records First Edition 180 Gram pressings.It could be one of the most collectible pressings ever in this 180 Gram First Edition. From very early on, Genesis was intensely interested in the staging of live shows. This wasn't just a concert, and this isn't just a live album. It is filled with moments of power (the closing section of "Musical Box") -- not so subtle political commentary ("Get 'Em Out By Friday") and even humor when a bass string is errantly sounded between songs and Peter Gabriel announces "That was an unaccompanied bass solo by Michael Rutherford." It is a perfect representation of a group of brilliant young men who took their music very seriously, but never themselves. This recording shows them in their elemental form. Other included tracks are: The Return Of The Giant Hogweed -The Knife - Watcher Of The Skies. 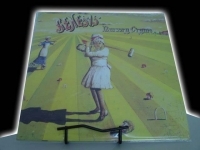 "Genesis, Nursery Cryme - 180 Gram"
Classic Original Master 1st Generation 180 Gram Pressing, featuring Peter Gabriel "Out of Print, Last Copies". "The Musical Box" "For Absent Friends" "The Return of the Giant Hogweed" "Seven Stones" "Harold the Barrel" "Harlequin" "The Fountain of Salmacis" Enter Phil Collins and Steve Hackett for a set that elipsed its predecessor (seventies TRESPASS) in technical ability. 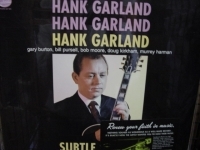 The 10-minute opener "The Music Box" benefiting from jazz influenced playing was a far cry from the delicate folk rock tapestries and chiming 12-string guitars of its predecessor. The infusion of a semi-classical structural sensibility had become more prevelant. Fragile ballads are at a minimum replaced by driving classic rock epics full with heavy guitar, baselines, and sweeping mellotrone. The sound occasionally recalls the refined but uncompromising instrumental attack of the Nice (particularly in Tony Banks/Keith Emerson-ish blast of organ bravura). The interlocking guitar and folky moments are still present, however, providing contrast to NURSERY CRYME's bolder moments. The group's sophisticated compositional style and Peter Gabriel's eccenric lyrics are at their height on "The Return Of The Giant Hogweed", "The Fountain Of Slamacis" and "The Music Box". 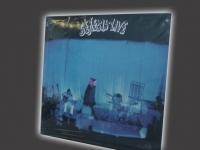 "Genesis, Selliing England by the Pound - 180 Gram First Edition LP"
GENESIS - SELLING ENGLAND BY THE POUND. This Classic Limited 1st Edition Mastered from the Original Session Tapes to 180 Gram Heavy Virgin Vinyl. OUT OF PRINT THESE MASTERPIECES HAVE OFFICIALLY GONE OUT OF PRINT FOREVER as of SEPTEMBER 1ST 2007. Classic Records has proven to be an Audiophile Company second to none in the new millennium. But Classic Records, unlike other top Audiophile Companies, does not place Limited Edition numbers on their LP jackets. 2 years ago, Classic Records changed their vinyl weight from 180 gram to 200 gram. Mymusicfix knows no expert that has been able to decipher a true difference in quality with this 20 gram weight increase. What this change did for Collectors of the finest vinyl pressings was establish a First Edition element to Classic Records Audiophile pressings. All Classic Records 180 Gram pressings are now Out of Print and Very Limited Edition Collector's First Edition Pressings. In the long term, First Editions will be what Collectors seek. When you look at Classic Records First Edition 180 Gram pressings.It could be one of the most collectible pressings ever in this 180 Gram First Edition. These 180 gram Classic Records LPs are the only way a collector can verify that they own a 1st Edition pressings. Classic masterpieces have proven to be some of the most valuable out of print pressings in the vinyl collectors market (many selling in the $100+ range once out of print). Enjoy being one of the last people in the world to own this 1st Edition sonic gem and rare collectors title to upgrade your vinyl collection Released in 1973 (the same year as their Live set) Genesis was by now one of the fastest rising groups on the pop scene. The band's blend of classical instinct, theatrical presentation and whimsical, complex and daring arrangements put them in the same class as Yes, ELP, Pink Floyd, King Crimson, and Jethro Tull as leaders of the British Progressive Rock era. Back in the studio where they could continue to experiment, the resulting Selling England By The Pound is considered (by some) equal to their masterpiece Lamb Lies Down on Broadway. Truly a group effort and a great album of the 70s! In shades of things to come, drummer Phil Collins makes his vocal debut here on "More Fool Me". -------------------------------------------------------------------------------- Track Listings 1. Dancing With the Moonlit Knight 2. I Know What I Like (In Your Wardrobe) 3. Firth of Fifth 4. More Fool Me 5. The battle of Epping Forest 6. After the Ordeal 7. The Cinema Show 8. Aisle of Plenty ABSOLUTELY ONE OF THE BEST ALBUMS OF ALL-TIME. "Genesis, Selling England By The Pound, First Edition 180 Gram"
"George Benson, The Other Side Of Abbey Road"
180 Gram Limited Edition Analog Virgin Vinyl. 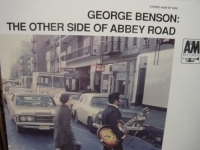 George Benson, influenced heavily by the smooth playing of Wes Montgomery, puts his jazz spin on the legendary Beatles album. Tracks Include:"Golden Slumbers" "You Never Give Me Your Money" "Because" "Come Together" "Oh! Darling" "Here Comes The Sun" "I Want You(She's So Heavy)" "Something" "Octopus's Garden" "The End". "George Harrison, Living In The Material World - 180 Gram Vinyl"
"Graham Central Station, Ain't No Bout-A-Doubt It"
180 Gram limited Edition Analog Virgin Vinyl. Tracks Include: "The Jam" "Your Love" "It's Alright" "I Can't Stand The Rain" "It Ain't Nothing But a Warner Bros. Party" "Ole Smokey" "Easy Rider" "Water" "Luckiest People." 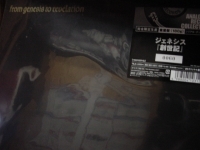 "Graham Central Station, Graham Central Station"
180 Gram Limited Edition Analog Virgin Vinyl. Tracks Include: "We've Been Waiting" "It Ain't No Fun to Me" "Hair" "We Be's Gettin' Down" "Tell Me What It Is" "Can You Handle It?" "People" "Why?" "Ghetto." "Graham Central Station, Release Yourself"
180 Gram Limited Edition Analog Virgin Vinyl. Tracks Include: "G.C.S." "Release Yourself" "Got To Go Through It To Get To It" "I Believe In You" "'Tis Your Kind Of Music" "Hey Mr.Writer" "Feel The Need" "Today." 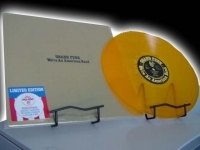 "Grand Funk Railroad, We're An American (rare yellow vinyl) - 180 Gram"
180 Gram Limited Edition Analog Virgin Vinyl "Out of Print". This 1973 release of Grand Funk's "We're An American Band" continued the band's winning streak. It has gone on to become one of the most popular albums ever. Slightly more pop based than previous work, the band plays as if it can do no wrong on this strong set. Produced by Todd Rundgren the album spawns such gems as "Rowdy" "The Railroad" "Stop Looking Back" "Ain't Got Nobody" and much more! 180 Gram Audiophile LP Pressing "CURRENTLY OUT OF STOCK" Tracks Include: "Idle Moments" "Jean De Fleur" "Django" "Nomad" "Jean De Fleur (Alternate Version)" "Django (Alternate Version)". 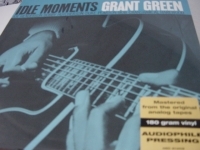 "Grant Green, The Final Comedown - 180 Gram Vinyl"
180 Gram Limited Edition Analog Virgin Vinyl.Tracks Include:"Box Of Rain" "Friends Of The Devil" "Sugar Magnolia" "Operator" "CandyMan" "Ripple" "Brokedown Place" "Till The Morning Comes" "Attics Of My Life" "Truckin'"
"Grateful Dead, Live and American Dream - 2 Title Set"
"Grateful Dead, Live Dead (2 LPs)"
180 Gram Limited Edition Analog Virgin Vinyl. 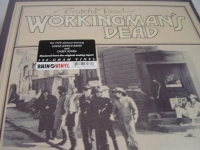 Tracks Include:"Dark Star" "St. Stephen" "The Eleven" "Lovelight" "Death Don't No Have Mercy" "And We Bid You Goodnight". 180 Gram Limited Edition Analog Virgin Vinyl. Tracks Include:"Uncle John's Band" "High Time" "Dire Wolf" "New Speedway Boogie" "Cumberland Blues" "Black Peter" "Easy Wind" 'Casey Jones". 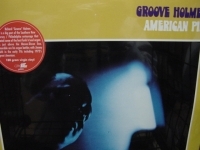 "Groove Holmes, American Pie (Last Copy)"
180 Gram Limited Edition Analog Virgin Vinyl. Tracks Include:"American Pie" "St. Thomas" "Catherine" "Fingers" "It's Impossible" "Rainy Day" "Who Can I Turn To." 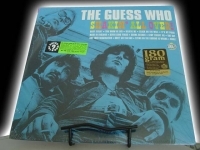 "Guess Who, Shakin' All Over (2 LPs) - 180 Gram"
180 Gram Limited Edition Analog Virgin Vinyl. 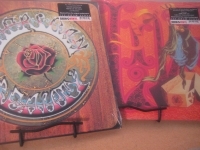 COLLECTORS NOTE: THESE SUNDAZED 1ST EDITION HEAVY VINYL 180 GRAM LP'S ARE NOW OUT OF PRINT IN THESE 180 GRAM PRESSING. SUNDAZED RECORDS NO LONGER PRESSES IN THESE LIMITED EDITION 180 GRAM WEIGHTS. THEIR PRESSINGS ARE NOW IN THE 150 GRAM WEIGHT IN THEIR 2ND GENERATION PRESSINGS. THESE ORIGINAL 180 GRAM PRESSING WILL BE WHAT COLLECTORS SEEK AND YOU SHOULD NOT MISS OUT ON THESE 1ST EDITIONS. Tracks Include: "Shakin' All Ove"r "Tuff E Nuff" "I'd Rather Be Alone" "All Right" "Baby Feelin'" "You Know He Did" "Believe Me" "Clock on the Wall" "It's My Pride" "If You Don't Want Me" "Baby's Birthday" "Made in England" "Seven Long Years" "Gonna Search" "Stop Teasing Me" "Hey Ho (What You Did to Me)" "One Day" "I Sould Have Realized" 19. Use Your Imagination" "Don't Act So Bad" "As" "Just a Matter of Time" "Flying on the Ground Is Wrong" "Goodnight Goodnight". 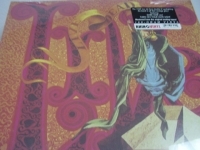 Audiophile 180 Gram Limited Edition Analog Virgin Vinyl. Tracks Include: "What Am I To Do" "Not For Me" "You're Here Again" "Just For Tonight" "Pop Goes The Weasel" "It's Love Of Course" Unless You're In Love" "Close Your Eyes" "Rainy Afternoon" "Call D. Law." 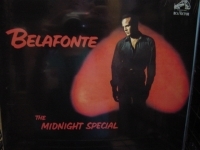 "Harry Belafonte, The Midnight Specia - 180 Graml"
"Hawaii Five-O, Music From the TV Sound Track"
180 Gram Limited Edition Analog Virgin Vinyl. Composed, Arranged & Conducted by Morton Stevens. Morton's resume includes working with the likes of Sammy Davis Jr. and other greats. 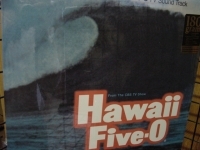 Tracks Include: "Hawaii Five-O" "Call To Danger" "McGarrett's Theme" "Front Street" "The Long Wait" "Blues Trip" "The Floater" "Interlude" "Operation Smash" "Beach Trip" "Up Tight" "The Chase / Hawaii Five-O"